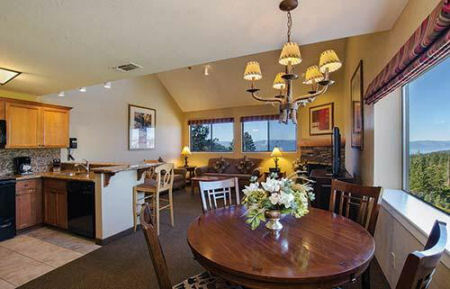 The Ridge View in Stateline, Nevada NEAR LAKE TAHOE- Buy a 7 Night Stay in a 1 Bedroom Suite! 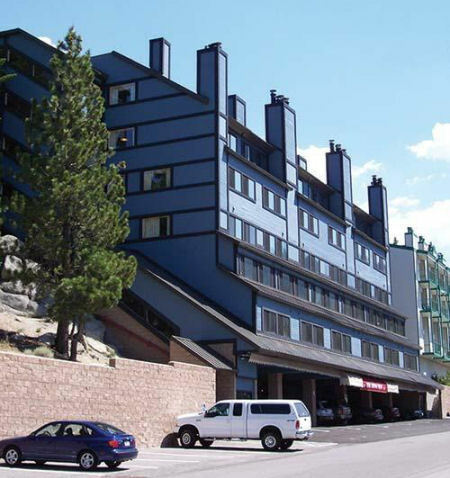 Enjoy 7 Nights in a 1 Bedroom Suite at The Ridge View in Stateline, Nevada! Located at 7,300 feet, The Ridge View offers a rooftop whirlpool spa and accomadations with spectacular Lake Tahoe views. Guests have full access to the Ridge Club amenities at The Ridge Tahoe, located just minutes away via complimentary transportation. Each suite is designer-apoointed, with a fully equipped granite kitchen, gas fireplace, Sleep Number bed, and flat-screen televisions with DVD. On-site amenities include a billard room, sauna, and barbecues. The Heavenly Ski Resort Stagecoach chairlift is less than a mile away with complimentary transportation provided. 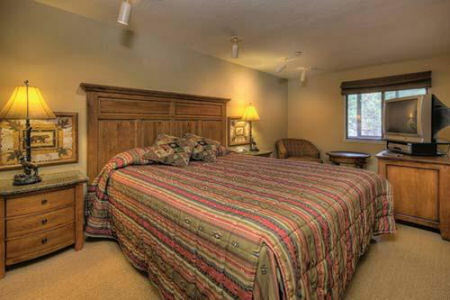 1 Bedroom Suite: Your one bedroom suite sleeps 4 guests and comes with a full kitchen. A generous living room area with a sleeper sofa is located off of the dining room and kitchen, while a Queen bed is located in the private bedroom. Your full kitchen will include a coffee maker, full size stove with oven, cooking utensils, microwave oven, pots/pans, kitchen sink, cutlery, and refrigerator.